You name it we can move it! - JETS TOWING INC. 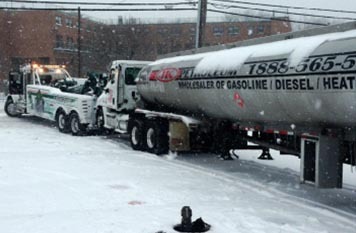 Jets Towing is completely capable of towing any piece of equipment, any trailer, or any vehicle. There is no job too big or too small for our team of dedicated professionals. We rely on the perfect combo of great machinery and our professionals are completely able to handle all situations and jobs. Our heavy duty trucks can tow all types of large vehicles, in record time. When heavy or small vehicles need to be moved, it is vital for you to contact seasoned professionals to complete the job. Our tow trucks are equipped with wheel lift and this allows us to ensure that no damage is caused to the vehicles when they are being towed. We take our job seriously and this resonates in the attention to detail that our drivers maintain. Contact Jets Towing today to find out about all of the other services that we can provide.